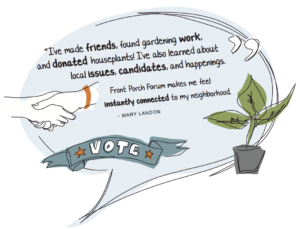 We regularly receive appreciative notes at Front Porch Forum from our members. It’s especially warming to know that we are having a positive impact on the towns throughout Vermont. Are you using your FPF calendar?